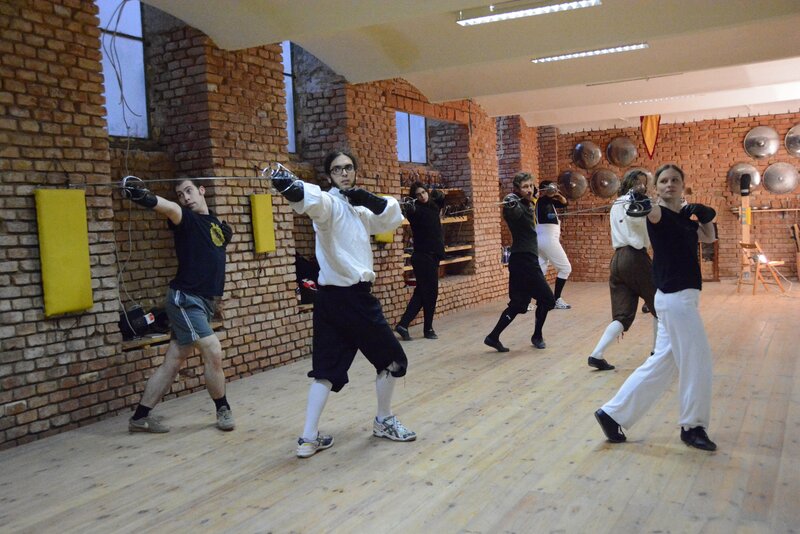 We are a group of historically inclined enthusiasts who share the goal of reviving european martial arts of former centuries. 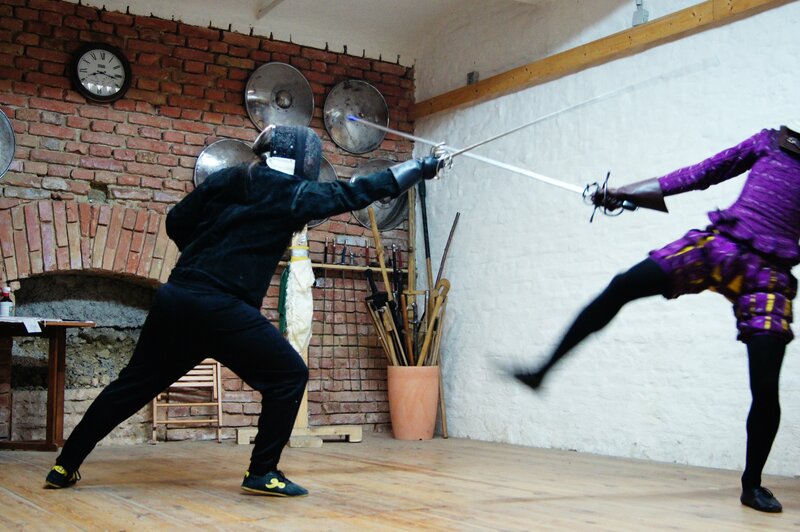 To achieve this we have four training sessions per week, where we train techniques and motion flows derived from period sources, primarily „Fechtbücher“ (Fencing/Fighting books), both from text and image. Our oldest source is the so called „Tower-Fechtbuch“, I.33, from the 13th century, which describes in text and image how to fight with sword and buckler. 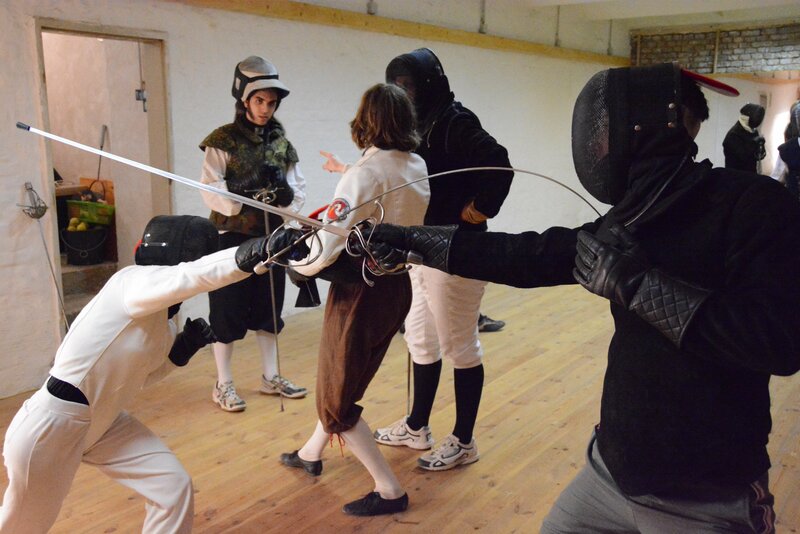 The most modern form we train is sabre fencing from the end of the 19th century, in the style of Cav. Luigi Barbasetti. 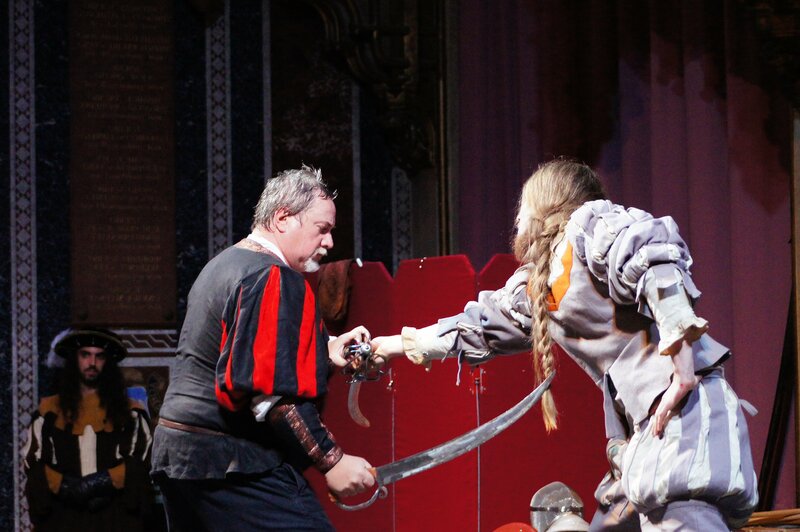 But the main focus lies on the italian rapier from the late renaissance, end of the16th century, like Ridolfo Capoferro and Salvatore Fabris, even if spanish rapier and french smallsword happen to make frequent visits in our training. 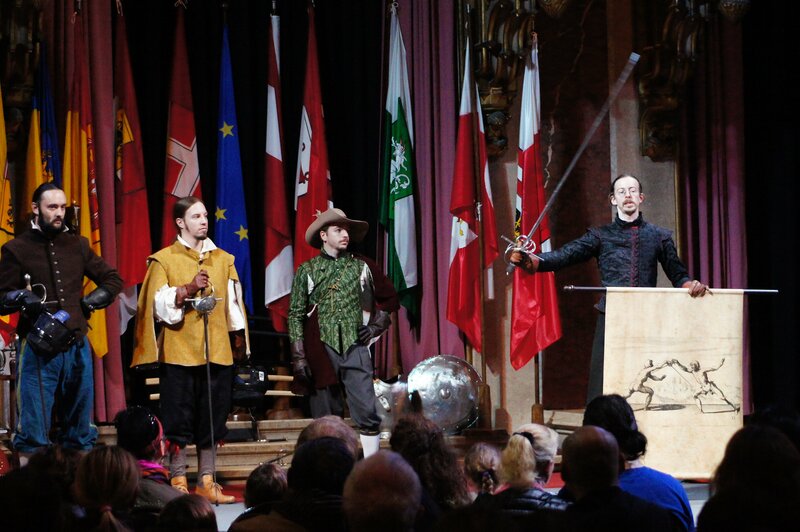 Klingenspiel is member of the Austrian Association for Historical Fencing. Our regular trainings take place at our own hall in Ottakring, Vienna. 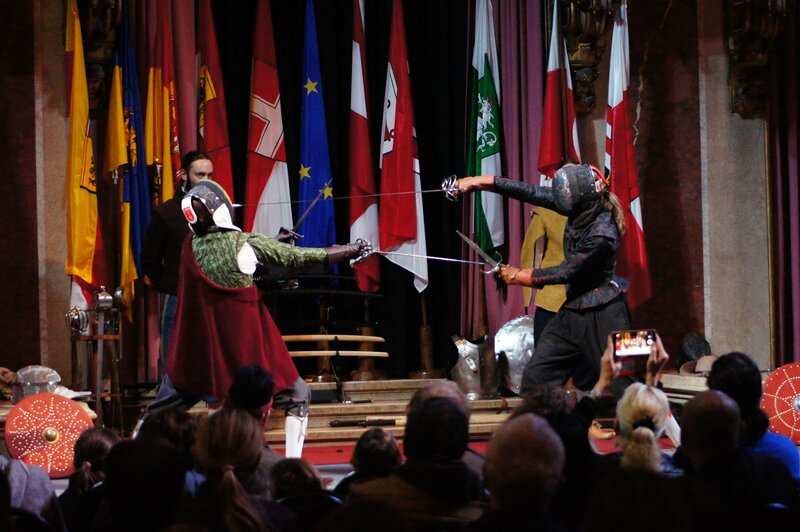 In case you are interested: Visiting is free of charge, als well as one trial lesson, and the entry to sabre and/or sword/buckler classes is possible at almost any time. 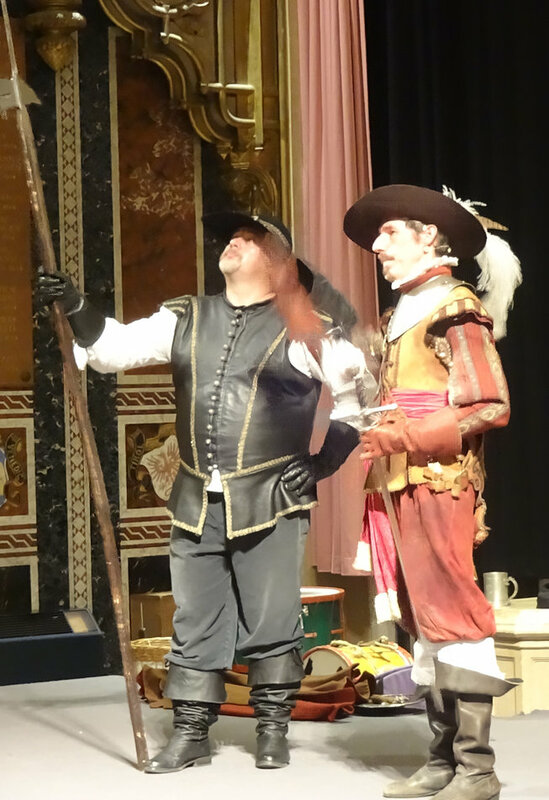 For Rapier we provide weekend-workshops for beginners, if there are enough people interested, classes start each year at the beginning of Octobre, depending on free places. Just drop us an email if you’re interested! 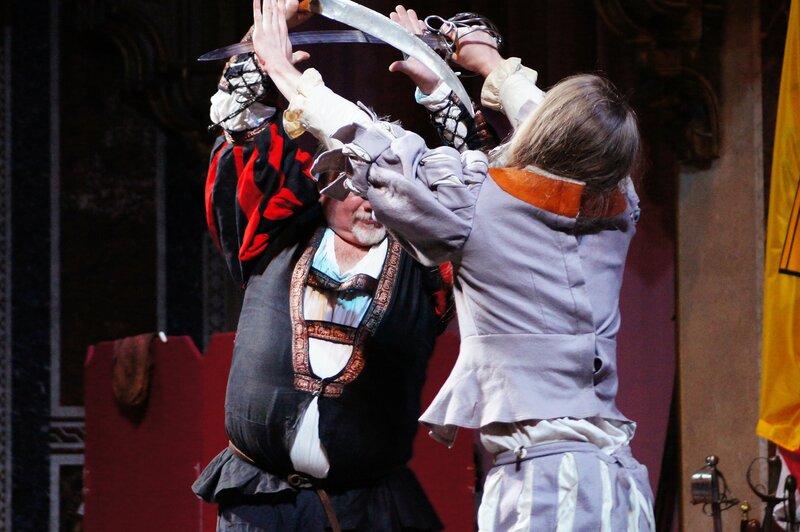 Our knowledge and mastery of european historical martial arts is presented to the public on a regular basis, e.g. at the „Heeresgeschichliches Museum“ (Austrian Army Museum) during the „History days“, but also on other public or private events. In addition to working with our primary sources some of our members are tirelessly working on making further sources available, transcribing manuscripts and taking detailed measurements of historical weaponsfrom different museum collections. So far swords and rapiers from the „Hofjagd-und Rüstkammer“ (KHM Historical Museum of Arts, Vienna), the „Heeresgeschichtlichen Museums“ (Austrian Army Museum), oder the collection Khevenhüller at castle Hochosterwitz in Carynthia, to name a few, have been examined.